We understand that experiencing memory loss can be frightening, frustrating, and overwhelming. At Walker Methodist, we aim to ease these burdens so our residents live fully each and every day. In an effort to continually develop and strengthen our commitment to Alzheimer’s and care for those who suffer from dementia, we recently joined the Alzheimer’s Workplace Alliance. The Alzheimer's Workplace Alliance (AWA) is a group of nearly 2,000 leading companies and organizations that have stepped up as leaders in the fight against Alzheimer's disease. At Walker Methodist, we, as AWA Corporate Champions, support our employees, residents, members, and other stakeholders with resources, tools, and information on Alzheimer's disease, the nation's sixth-leading cause of death. This Alliance, made possible by the Alzheimer's Association, aims to raise awareness of the disease and importance of early detection while providing help to those who are balancing work and caregiving responsibilities. Support employees caring for a person with Alzheimer's disease. Value employee wellness, work-life balance and corporate social responsibility. Enhance overall wellness program offerings. Align with other brands and the world's leading voluntary health organization in Alzheimer's care, support and research. To join the AWA, Walker Methodist had to apply and exemplify dedication to the Alzheimer’s cause. Our membership provides us with valuable resources and services that support those balancing caregiving with workplace responsibilities. We also have access to tools that help us raise awareness for Alzheimer’s and gain knowledge about early detection, support, and other education. We regularly receive Alzheimer’s related news and research updates, as well as opportunities to help the Alzheimer’s association. 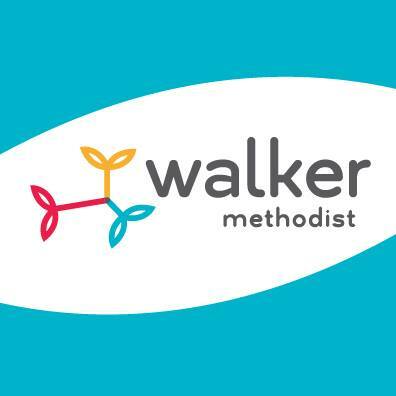 There are more than 15 million caregivers for those with Alzheimer’s and dementia in our country, and many of those individuals are part of the Walker Methodist family. We strive to provide the best healthcare services for older adults. As part of our commitment to our Mission of Life, and all the living that goes with it, we continually empower our staff to provide the best care methods possible.